Davies Locksmiths provide a professional lock installation, door opening, lock repair or lock replacement service for all types' locks. Damaged and faulty locks can be opened, repaired or replaced on site. If you have been unfortunate enough to suffer a burglary we will repair the damage and ensure the security of your property. 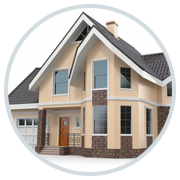 Davies locksmiths service has an established custom base in the domestic sector developed through a high standard of workmanship and reliability through to customer satisfaction. 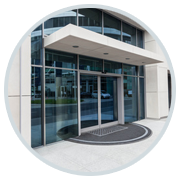 Davies Locksmiths offer a reliable, professional commercial locksmith services. Whether you own a hotel or guest house, retail outlet, a pub, offices, estate or lettings agency, farms, factory or shop, Davies Locksmiths can provide a range of commercial security systems and services. We carry a vast range of locks on our mobile workshop to cover all door types, wooden, upvc and metal as well as garage door locks, allowing us to complete the job quickly, easily and with the minimum of disruption. If you have lost your keys, or been locked out, we can attend your premises promptly and make sure you are let back in quickly and leave your property secure. 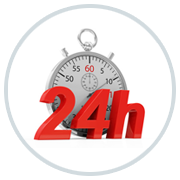 Our 24 hour locksmith technicians provide other emergency locksmith services as well. These include: lock pick, Non-destructive entry, Locks supplied & fitted, key replacement, Burglary repairs, Door Repair & Carpentry, Security advices, Car lock outs, and various types of security services. They are very nice people and they are also hard workers, I suggest using these locksmith, they\'re great at their jobs and punctual. I had an excellent experience with Locksmith Biggleswade. He is a true professional and just very kind. While I hope not to be locked out of my place anytime soon, I would highly this company. He\'s a really great, honest and prompt guy. Was in and out in 30 minutes rekeying 2 of our locks. I\'ve worked with a few locksmiths before but this is your man. Our highly trained service technicians are among the best in the field. They are knowledgeable, skilled, professional, clean cut, well uniformed, insured and properly equipped. your satisfaction is our number one priority. When we are at your facility, we are working for YOU!